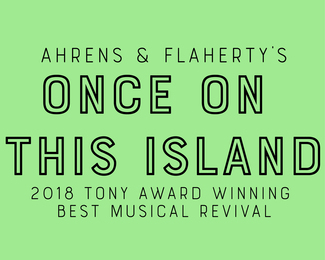 Once on This Island, this year’s Tony Award winner for best musical revival, closed its Broadway run on Sunday, Jan. 6, 2019. The Caribbean-inspired musical played 29 previews and 458 performances. Now it's our turn! Please consider volunteering for one or more of our 15 performances of this award winning musical. Please arrive at the start times listed below. We will get you signed in and share a quick overview of show information with you. If you are able to stay for about 15 minutes after the show and help see guests out, pick up & fold blankets, and do a general tidying of the theatre, we would really appreciate it. If you have a conflict and must cancel, please contact me as soon as possible to allow for a replacement to be scheduled. You can call the theatre at 972-620-3747 or email me at [email protected].